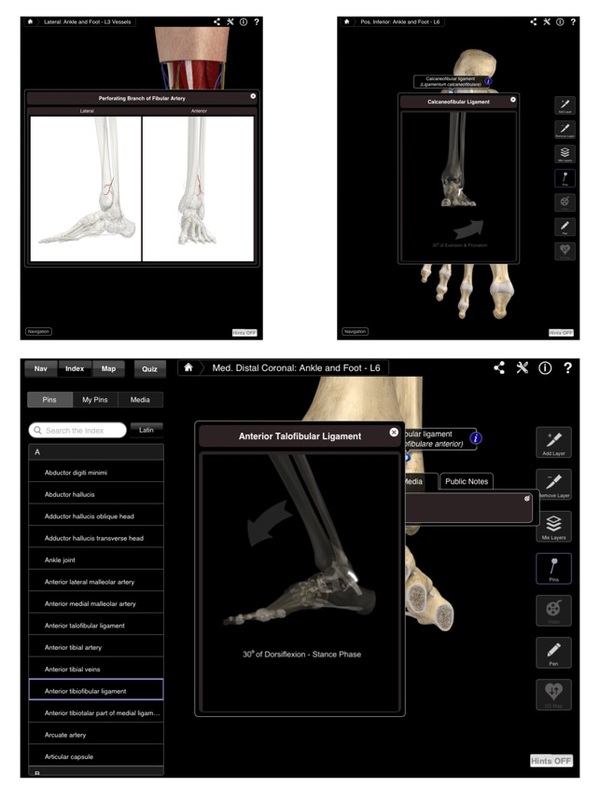 • 360 degree, 3D horizontal rotation of the ankle & foot for Anterior, Lateral, Posterior, and Medial views - with a swipe of your finger. 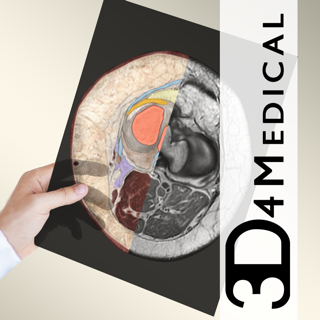 • Multiple 3D cross sections (Sagittal, Coronal, and Transverse) and the ability to cut away different layers down to the bone. • 220 images of every nerve, muscle and vessel isolated. • 163 audio pronunciations - one for every label. • Origin and Insertion points of each muscle mapped on to the bone. • Double Tap to zoom: Zoom in to and identify any part of the ankle & foot by tapping on the screen. • Customize Pins: Add your own pins and notes or add notes to existing pins. This app’s primary use is as a learning tool and can also be used as a fast and innovative reference tool by utilizing the index function which allows the user to select any pin in the app -- and the app will automatically find and identify it. Please correct the fibularis longus info. Also, the quiz times you even when you don't want to be timed and have the timer switch off. Was this never tested? This app is much better than competitors' apps. 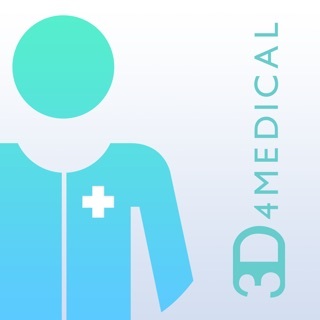 I am in chiropractic school and about to graduate and this app is great for refreshing your memory and patient education. The 3D relationships that you can appreciate between compartments as well as the path that neuro vascular bundles take is awesome. 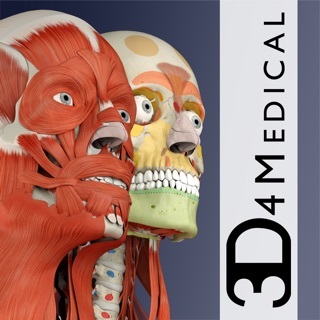 The sagittal, coronal, and transverse cuts are really great and I haven't seen any other apps that do that. 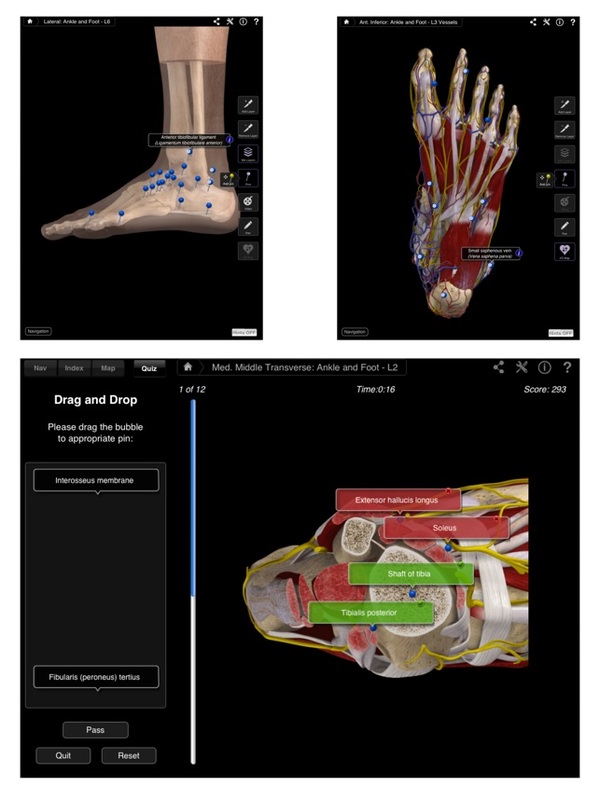 Buy this app if you want to have the best foot and ankle anatomy app that you can get. 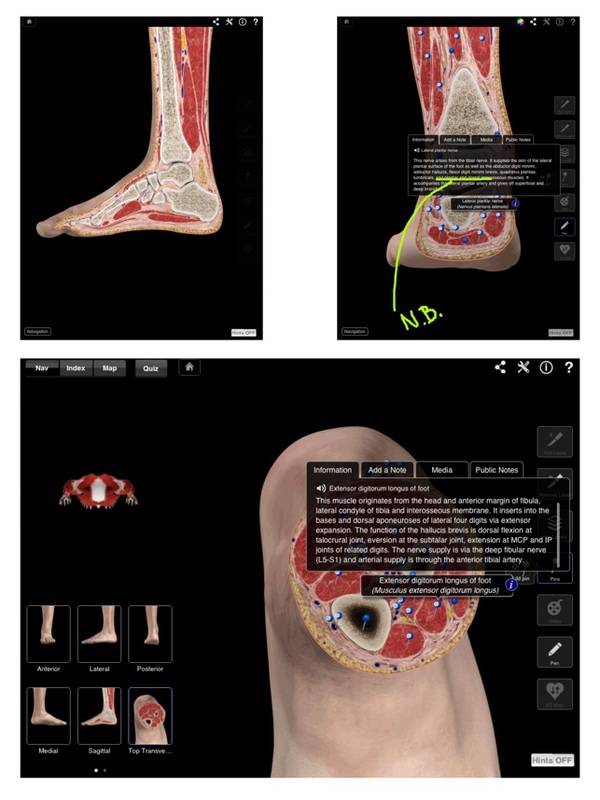 This is a fantastic app that covers everything about foot anatomy. 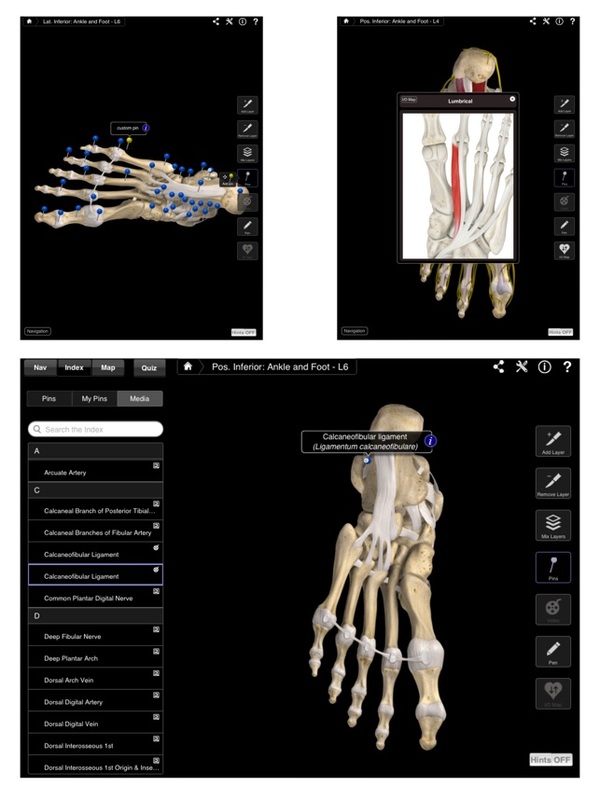 The attention to detail is amazing, the ability to manipulate the positioning of the foot is awesome and the cross sectional views are incredible!